Wow... I clicked through all the links you posted to your reviews from years gone by. The lulu models had breasts! How refreshing. 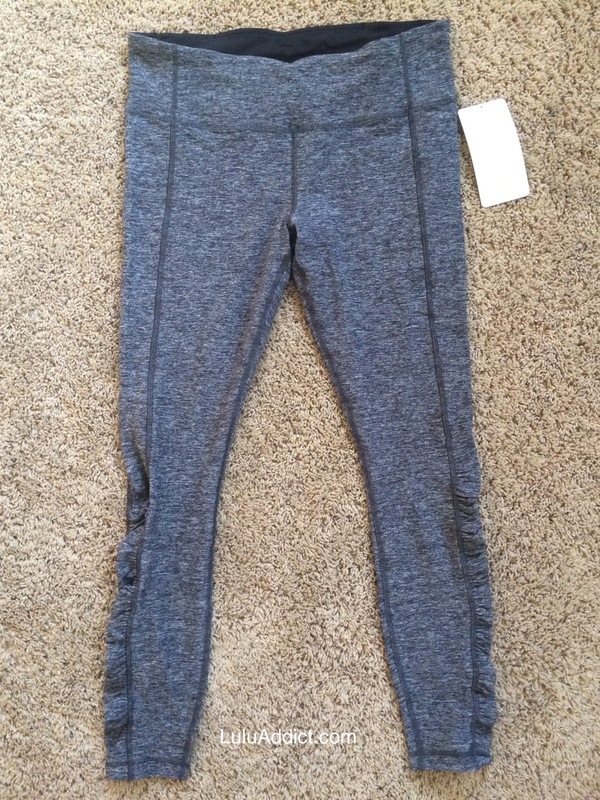 I got the turn around tights last year and love them 😊 so so soft and comfy to even just lounge around in, but also a cold weather running staple. Have the heathered blue and black. Thinking of adding the Bordeaux to the team! I agree with you about the fan base loving the colorful palette on technical items!! So much is white,black and grey. I think they delegate their popular colors to unpopular items too trying to bump up sales. 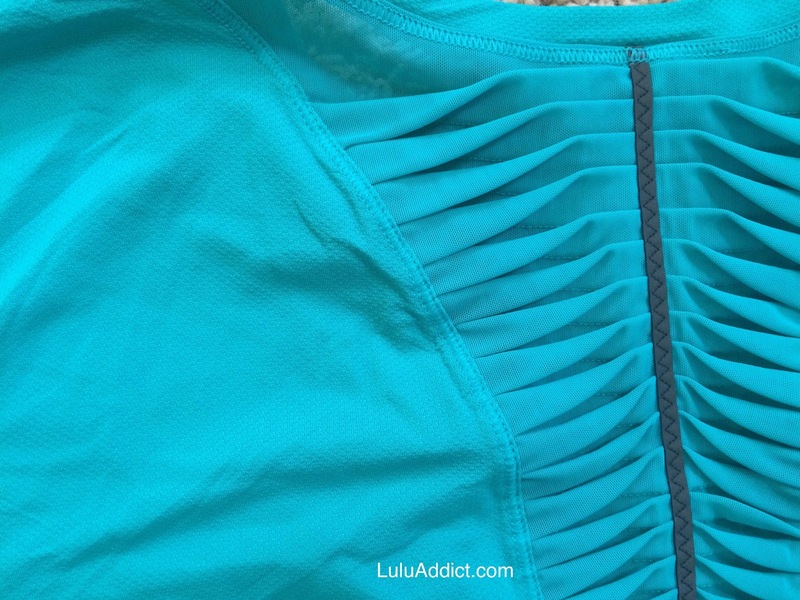 I got my mesh ls in teal and love it too! 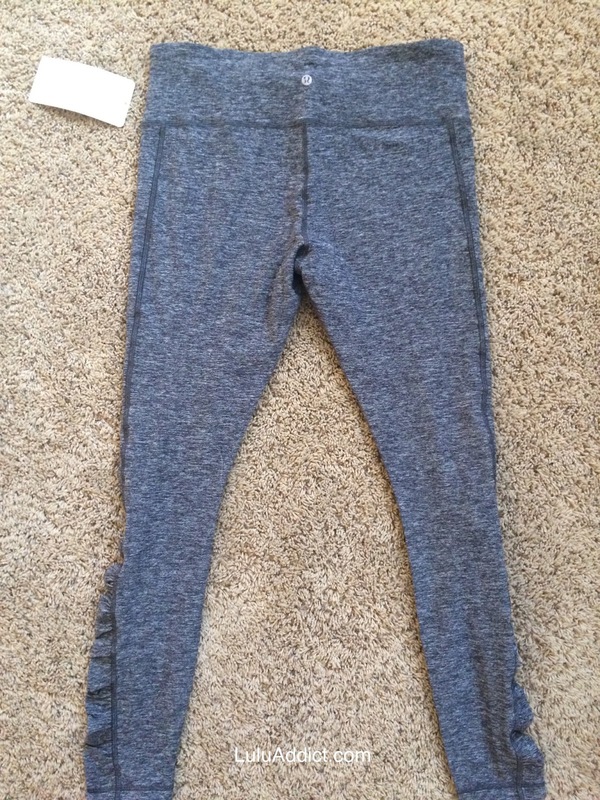 It looked sheer on the website but it's not. Love the ruffles and want the blue now! Got the pink space twist Wuc and it seemed smaller than the teal. I really love both the colors and the weight of the Mesh with Me LS, but I don't love the price. 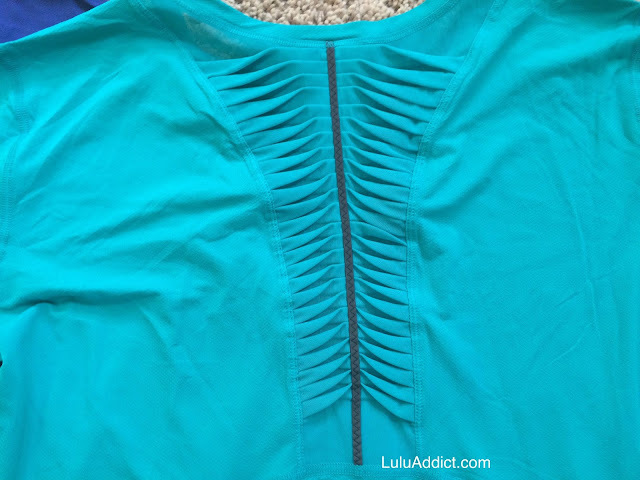 I just can't pay $80 for a top that I have to worry about getting pulls in and such. SIGH!!!! If it goes onto WMTM for a more reasonable price, I may consider. I received my Mesh With Me and mostly liked it. I wish I'd sized up (it's a bit too tight on my belly). However, I didn't love the extra material on the back. It seemed like it would bother me, so it will go back. I'd love to see a looser-fitting long-sleeved running shirt. I've put on some weight and it all goes straight to my middle. I'm a little self-conscious on the fitted tops. 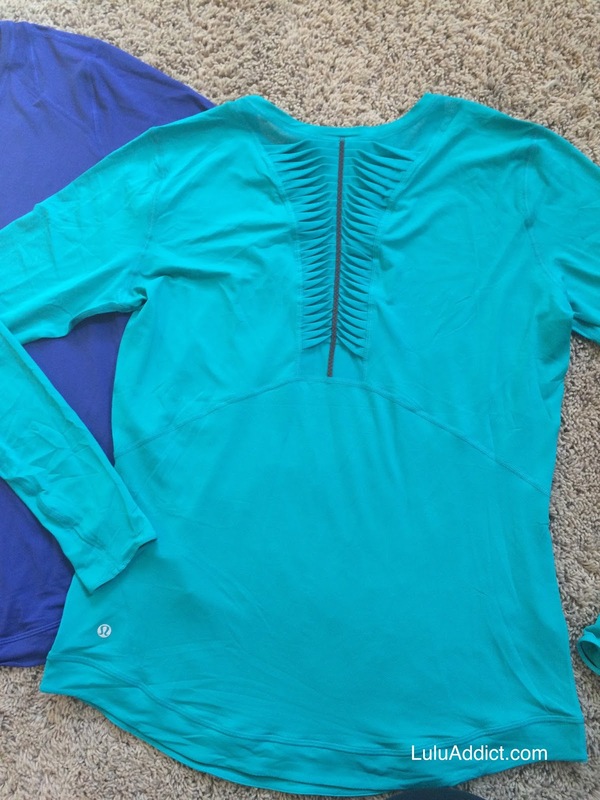 Be careful running in the mesh with me long sleeve. 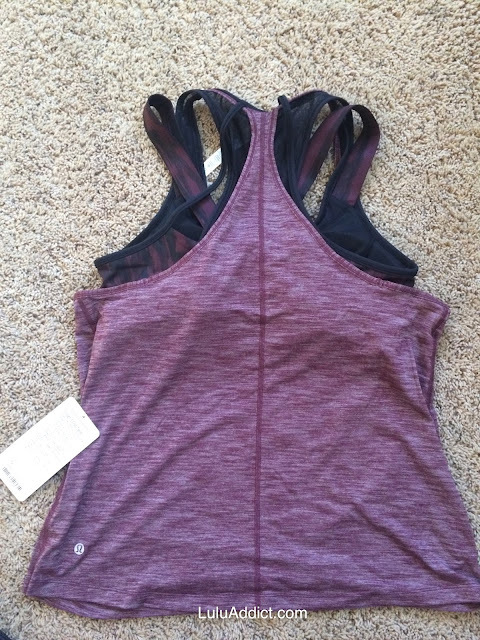 I wore mine to run on Saturday and noticed some abrasions on the lower back of the shirt afterwards. It was from the bungie cord of the zip pull of the back pocket on my inspire crops rubbing against the shirt! The shirt fits loose on me but the cord still damaged the shirt. It's going back to the store to be damaged out. The shirt is beautiful and felt great for running. 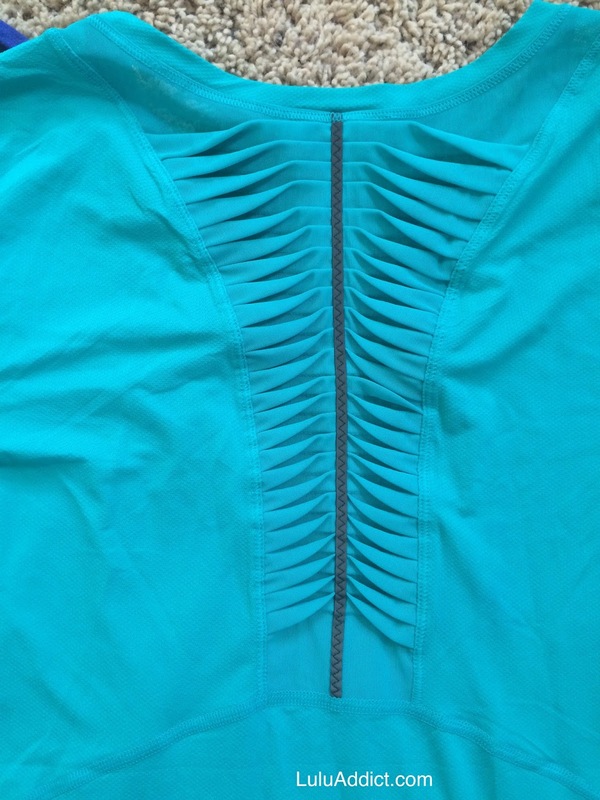 I don't know if removing the bungie cord from the zipper would solve the problem. It's such a shame since I love the top. @ anon 7:30 am - Good to know. That is a bummer. I wonder if I could tuck the little pull thing into the pocket to prevent that from happening. 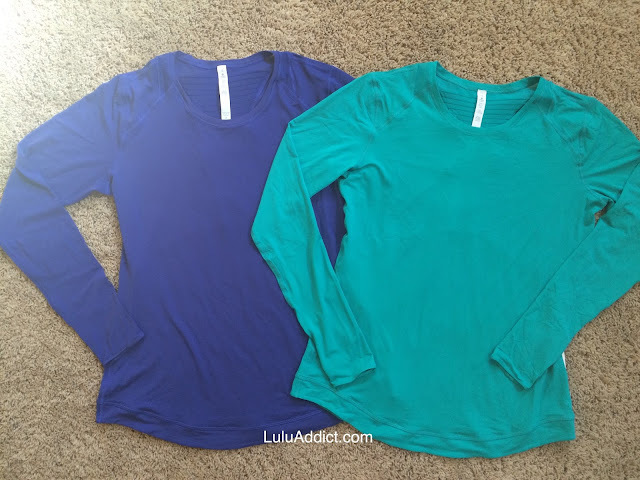 Years ago they had some long sleeve tops made of silverescent that I always passed up. 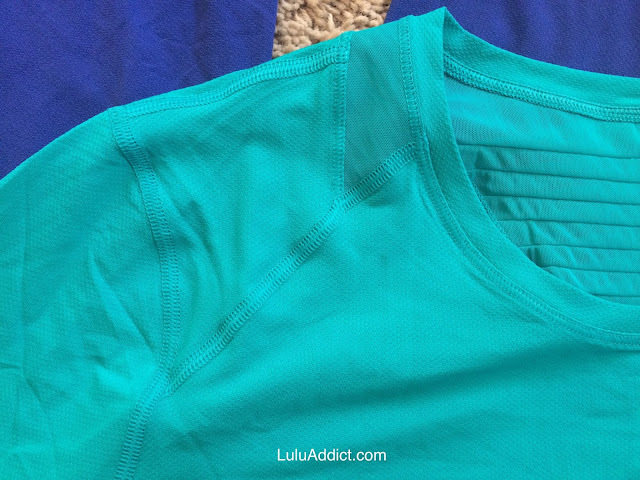 I kick myself now since most run shirts seem to be made of seriously light luon. @ anon 7:48 pm - I should have noted that this shirt isn't good if you more of an apple than a pear shirt, it is fitted through the middle. Same here. I would buy every color of a less fitted LS run top. Mesh with me is my new fave! I was a bit torn between keeping tts or sizing up because I was looking for something a bit looser than the swiftly. I'm glad I kept my tts - I've had it on all day and I can tell it has stretched some - the arms don't feel a tight now as they did this am. It's still not my absolute favorite - which is the run beam LS- but I did love it enough to order all three colors. Next time the runbeam comes out again I won't sit on it like I did this time and not order multiples. And hopefully they will put out some better colors this next time instead of black white and gray!! The heathered bordeaux turn around tights are not really bordeaux, they are more pastel and on the pink side. Not worth it imo. I'll pass on the l/s. I've been fortunate with my swiftly shirts and take great care of them, no snags. I don't need another shirt that will p*ss me off if I accidentally or unintentionally snag it. 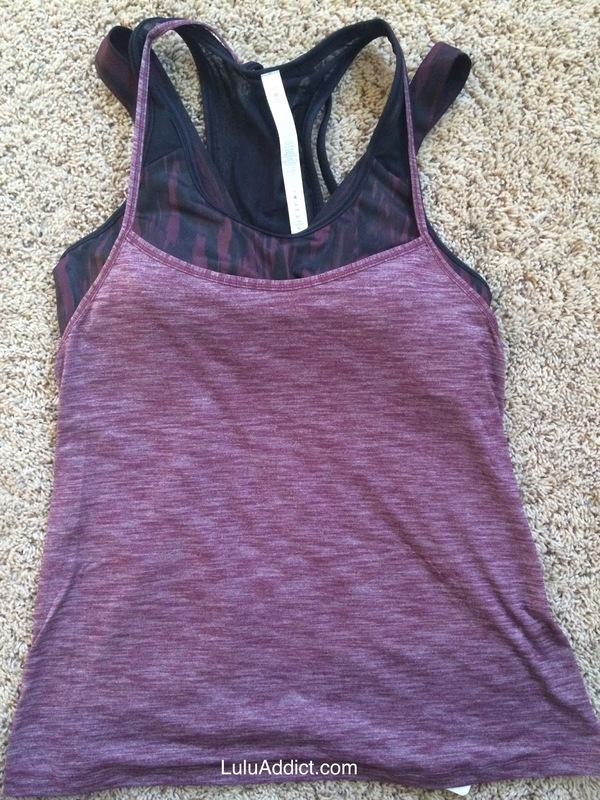 It's work out wear for goodness sake, it's supposed to stand up under performance. Oh right, but LLL is moving away from performance wear to stuff that just looks cute, lounging around drinking a latte or glued to one's phone. 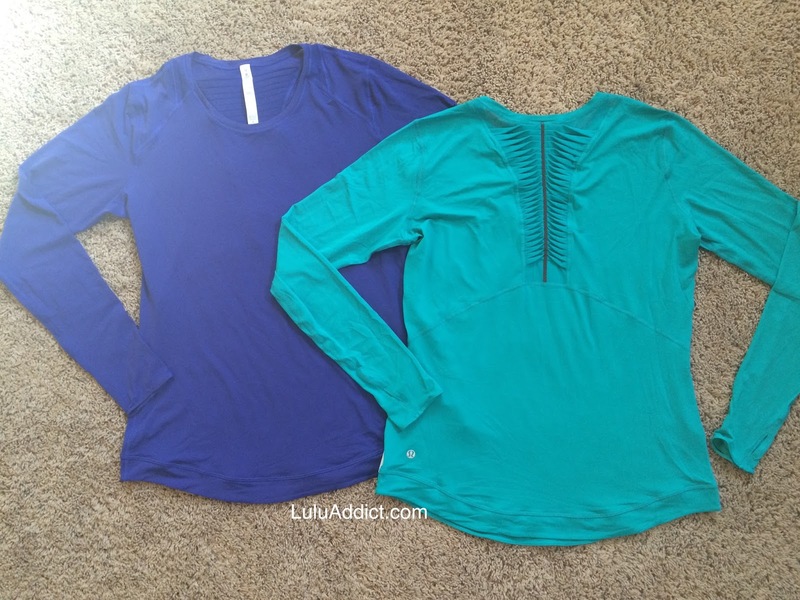 @yogamom- the Runbeam LS is my favorite lightweight ls top, too. I only have it in Power Purple bought would have bought more if it came out in cuter colors.